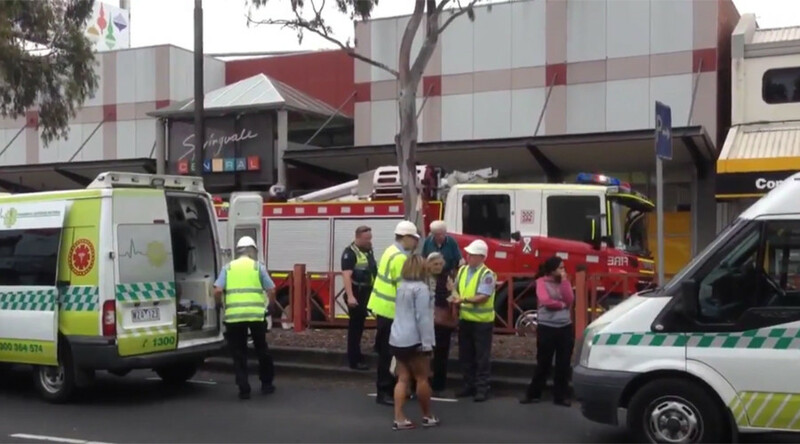 At least 27 people have been injured after a man set fire to a branch of the Commonwealth Bank of Australia in the Melbourne suburb of Springvale, according to local media reports. Police say the man has been hospitalized in serious condition. Several people who were inside the bank at the time of the incident are being treated for serious burns. Twenty-one people, including three children, are being treated for smoke inhalation, The Age reported. The man responsible has been taken to hospital in serious condition after becoming engulfed in flames. He is under police supervision, Victoria Police spokeswoman Leonie Johnson said, according to the Herald Sun. A witness told 7 News that the man was a disgruntled customer of the bank, though that has not been confirmed. Unconfirmed reports said the man had set himself on fire. Ambulance crews were called to the scene at 11:30 a.m. local time, 7 News reported. Some of the injured were being carried from the bank on stretchers, while paramedics and firefighters treated others on a footpath outside the bank, The Age reported. Springvale Road, where the bank is located, has been closed in both directions between Balmoral Avenue and Windsor Avenue. In a statement, the Commonwealth Bank of Australia said its "response team" is working with emergency services. "We can confirm there was an incident at our Springvale branch today. Our first priority is the safety of our staff and customers and as a result the branch will remain closed for the rest of the day," the statement said. "Our response team is on site and we are working closely with local authorities and emergency services." The Commonwealth Bank of Australia is a multinational bank with locations in Australia, New Zealand, Fiji, Asia, the US and the UK.